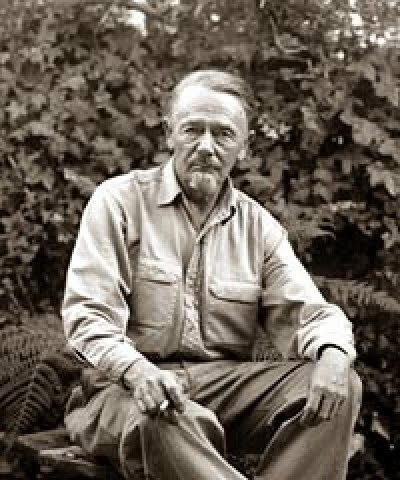 Had he indulged in the necromantic practices of some of his most memorable characters, Clark Ashton Smith would today be 118 years of age. Instead, this year will also mark the 50th anniversary of his death and, unlike his fellow Weird Tales writers, Robert E. Howard and H.P. Lovecraft, Smith's star has not much risen outside the small circles that have always lauded him and his unique imagination. As someone whose first taste of Smith occurred long ago (after refereeing Tom Moldvay's Castle Amber in the early 80s, as I recall), I sometimes forget how poorly known CAS actually is. Indeed, until the last few years, I was convinced that Smith had been listed in Gygax's Appendix N and was thus an important influence on one of the co-creators of Dungeons & Dragons. As it turns out, Gygax hadn't read Smith until after he'd created D&D and I've never seen any evidence put forward that Dave Arneson was a devotee either. Outside of the aforementioned Castle Amber, there aren't many Smithian allusions in the game's canon. (Supposedly, Rob Kuntz's Maure Castle contains such allusions, but, if so, it's not in evidence in Mordenkainen's Fantastic Adventure, at least not to me anyway). This is, of course, a well-worn topic on this blog, something I in fact mentioned on this very day last year. I think it bears repeating, though, because, while it's true that Smith's works provide much less "furniture" to import into D&D's ever-growing treasure house than, say, Lovecraft or Tolkien, he nevertheless has a lot to offer the roleplayer. In particular, CAS reminds us of the power of words to transport us to other places and times and to induce in us feelings and moods. Smith began his literary career as a poet, which is why so many of his stories are better understood as prose poems rather than as narratives in the traditional sense. That's not say that Smith's stories are devoid of plot, but plot is often secondary to the evocation of emotion in the reader through the use of exotic language. Critics of Smith's approach deem his vocabulary unnecessarily ornate and they would be correct if one were to indulge in a steady diet of such language. But, as a "palate cleanser," such language is both useful and inspirational. Much discussion is had in roleplaying circles about the meaning and purpose of "story" in the context of our shared hobby. Such discussions certainly have value, but, in my experience anyway, it's not "story" that most roleplaying games lack in practice as it is feeling. Too often, neither the players nor the referee has their senses (both internal and external) engaged, which is understandable, because it's hard to do. Clark Ashton Smith did it, though; his best stories really do transport you to weird, otherworldly realms and fill your eyes and ears and other senses with strange feelings, sometimes good, sometimes bad, but always interesting. I can think of worse models for how to add this extra layer to gaming than Smith. I'm not suggesting that one adopt his luxuriant diction and fondness for archaism -- though there's no harm in doing so! -- in order to add some depth to your gaming sessions, but I am suggesting that reading a few of his best stories, such as "The Empire of the Necromancers" or "The Charnel God" will pay great dividends for your fantasy roleplaying campaigns. So here's to Clark Ashton Smith on the anniversary of his birth. May his memory and his work continue to inspire all who seek out the exotic and the weird. Amen. I first read Clark years ago. The story was The Double Shadow* and I thought to myself that it was pure D&D at the time. As years go by, and I read more of Clark, and see his mentions of liches and whatnot, I feel he really is essential reading for this hobby. I just received the collection, 'Return of the Sorcerer'. I'd read bits of CAS before, but this review sold me on getting this collection. It can be ordered through Amazon. Well said, James. Smith evokes atmosphere like none other -- his use of colors, sounds, smells, the impossible vistas, his use of the macabre, his subtle humor -- it's all very inspiring. I hope that your modest blog and its dedication to the forgotten bard of the "Big Three" produces a few more CAS readers. I get the impression that Smith is more well-known in the Commonwealth countries. I have always see his works in print by Gollancz and similar houses. These days, I am not convinced that he is any well less known than Vance. There was a short period around the time of the Vance integral edition that you could find Vance's stuff in bookstores, but not so much anymore. It would also be the 89th birthday of Albert Lamorisse, who died in 1970. Lamorisse is the inventor of the boardgame Risk (in 1957) as well as the creator of that French short film The Red Balloon (1956) that most of us would probably have seen as kids. Although CAS was not mentioned in Appendix N, he was recommended in the Bibliography chapters of both RuneQuest and the Arduin Adventure. The later of the two even dedicated the book to him and praised Zothique as a major inspiration. It seems Zothique gets most praise. Is it better than Hyperborea, Averoigne or Poseidonis? "The Double Shadow" is my favorite so far, but I haven't read "Dark Eidolon," "Empire of the Necromancers," or "The Charnel God." Every fan of Smith's, or any good author, has their own favorite story. Mine is that which inspired the wicked-cool cover of the Castle Amber module, The Colossus of Ylourgne. As my girlfriend so eloquently put it at the time of my reading, "You should be slapped for just reading that." And why not, with all its talk of the devil-worshipping disciples of the grim Nathaire, and his home furnished with queer oddities. I prefer Hyperborea, personally. But Zothique is arguably more influential, if for no other reason than because it was a huge inspiration (or at least parallel) to Jack Vance's Dying Earth. He's not entirely absent from the canon. The Lovecraft section of Deities & Demigods gives Shub-Niggurath (never physically described by Lovecraft) a spawning aspect very similar to Ubbo-Sathla and places her underneath Mt. Voormithadreth. If Gygax wasn't aware of CAS, Messrs. Ward & Kuntz sure were. Bah, I meant Abhoth of course. In relation to D&D and fantasy RPG's in general, It's those times when you find your PC's are out of spells, down to their last hp's or thrown into a pit facing a mated pair of hungry Otyugh's, that's what Smith taps into: the sheer horror (and humor) of seeing the adventure go from bad to even worse and how it all plays out in the end. That's why " The Weaver in the Vault" and" The Isle of the Tortures" hold a special place in my heart as I've been in games with those situations. Just finished "The Charnal God." Decent little story with some human interest (man trying to rescue wife from cult of hyena-ghoul-men). A lot of the Lovecraft and CAS stories have the weirdness but no human interest, except the "what's gonna happen to this little self-absorbed chap?" type. It was fun to read about a guy who's obviously in love with his wife and will save her at any cost. That sort of thing held against the black backdrop of all the horror is especially effective in not only showing the horror to be horrific, but to show the good to be attractive. There's a moral fibre to CAS that I find completely lacking in Lovecraft. Lovecraft would likely approve of your analysis of his work. But don't be misled. The good guys get their share of knocks in Smith's work. And there's not much of a silver lining to the clouds that hang over doomed Zothique. I'm still reading through the definitive collection of his works (just got the latest volume for Yule). A few clunkers, a few are merely "workmanlike," but most are outstanding. At least Smith has "good guys." :^) And yes, your right, Smith wrote a lot about the Dying Earth. Nevertheless I've found that Smith has at least somewhat of a heart for people where Lovecraft has a heart for nihilism. Not that Smith can't paint a bleak picture too, but there's an optimism in Smith that is absent in Lovecraft. One way in which that optimism is expressed is how Smith's bad guys often "get it" via poetic justice. Poetic justice implies a moral code. Also, I've yet to read of a "magic-user" in Smith who is "good." And many of them bring themselves down via their arts (for example,the Double Shadow). Wizards are portrayed as warped power mongers (this was the way Howard portrayed them too). Another way Smith expresses optimism is by upholding human love, as in the Charnel God. Lovecraft is (in)famous for hardly ever even including females in his stories. Lovecraft seems utterly uninterested in anything heartwarming, which is fine (though I understand his life was about as bleak as his stories, and that makes me wish it could have been different for him). I find Lovecraft's tales to be literary exercises in expressing philosophy, just as C. S. Lewis's children's stories are literary exercises in expressing Christianity. Not that these two were similar in the way they expressed their worldview . . . but they are equally effective in expressing them. In fact I don't think I've ever read any other author who better communicates "worldview" in literature than Lovecraft and Lewis. Oops, didn't mean to write so much. Appendix N might not mention Smith's stories, but, naturally, Tom Moldvay didn't neglect them when he compiled the page of "Inspirational Source Material" for his Basic Rules. He included three collections: Xiccarph, Lost Worlds and Genius Loci. In fact, comparing the lists, I was surprised to see that Moldvay recommended quite a few major authors overlooked (or unread?) by Gygax, including Alan Garner, Ursula Le Guin, and E.R. Eddison. While we're talking favourite CAS stories, I feel I must mention "The Tale of Satampra Zeiros" - not only for its splendid language and marvellous wit, but also because it features a pair of ill-starred, roguish protagonists who march off to loot a temple in a ruined city in the jungle because they see "no reason why we should not replenish our deflated finances at the expense of a few dead kings or gods." D&D, anyone?